My So- Called Handmade Life: SSSKAL Cast On Day is like the first day of summer. SSSKAL Cast On Day is like the first day of summer. I already have two summer tops and a shawl in my knitting basket, but who cares?! It's SSSKAL time and there's nothing more disappointing than not being able to cast on with everybody else. It feels a little like breaking through the starting gate or like the first day of summer. Mid-summer I'm usually trying to knit something that will help me not melt, so to switch gears and knit something that is most definitely a sweater is a lot of fun. It's the kind of wrong that feels so right. I think I'll start with the Reindeer cardigan, by Alina Schneider. I wanted to knit it last year but around the time I would've cast on, I was gaining weight like crazy. So I waited until my body settled down to try again, with a larger size. Of course, then I started losing it. (My hormones were going nuts.) I guess it's a good thing I didn't knit it at that time, but I can't wait anymore. I'm hoping I'm close enough to the size I'm naturally "meant to be", that I can knit it to fit now and it will still look good in the future. I'm going to try it onto my daughter's wiry frame as I work. If it looks nice on me and also on her, with more ease, I know I'll be safe. 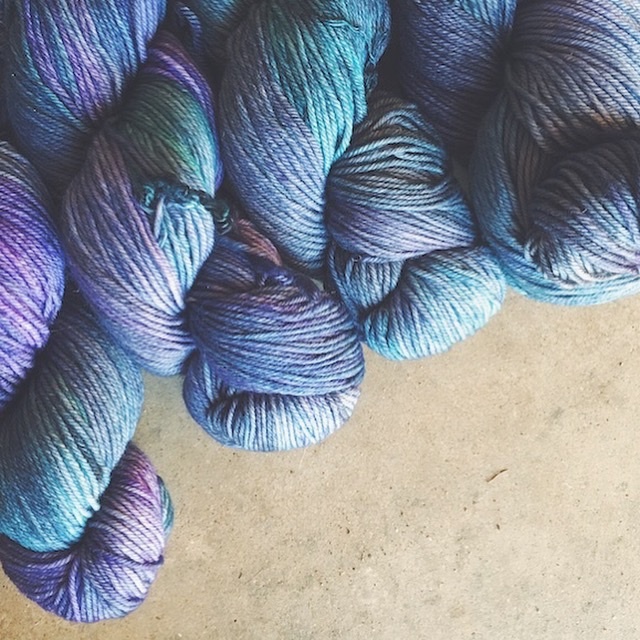 I'm using this gorgeous Azules shade of Malabrigo Arroyo for this. I've checked out lots of FOs in this shade on Ravelry, and feel confident it won't be too busy for a cabled project. Plus, these aren't all over cables, just one large panel. If it is chaos, I have a solid I can substitute instead. But I really hope this one works. I feel like I'll wear this classic shape over and over through the years, so I want it in this blue colorway. If I finish it in time, I'll move on to the Julia Sweater. It's meant to be oversized and will look good with a little ease now and a lot of ease later, if that happens. I'm not sweating the fit on this one. 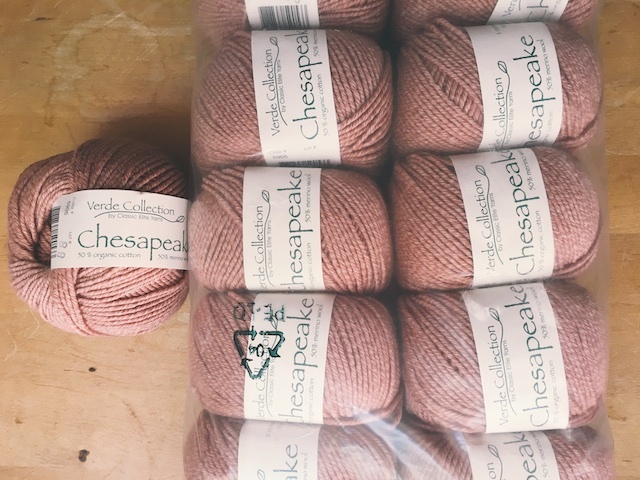 I'm using this Classic Elite Chesapeake in Faded Rose for it. Have you ever joined the Summer Sweater Knit-along? It was my first KAL and remains one of my favorites. One warning- your queue may double in size overnight.